The Carbon Claw SC TX-7 PT pro weight lifting gloves ensure a strong, firm and comfortable hold, as well as a confident grip and have a wide double wrap around wrist strap for a supportive fit. These durable all-round performance gloves are both lightweight and flexible and have been made of quality supple leather hide. For added comfort, there is a generous padding to the palm and 2 finger loops guarantee easy removal. The gloves are a great choice for strength training and bodybuilding sessions. for submitting product information about Carbon Claw SC TX-7 PT Pro Weight Lifting Gloves We aim to answer all questions within 2-3 days. 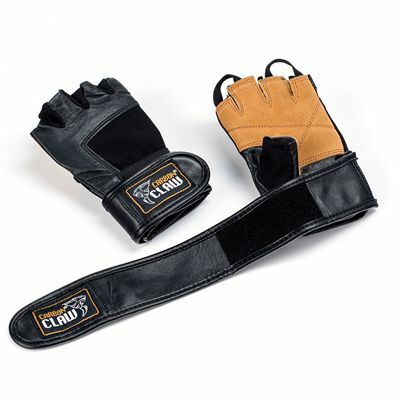 for submitting product information about Carbon Claw SC TX-7 PT Pro Weight Lifting Gloves. We aim to answer all questions within 2-3 days. If you provided your name and email address, we will email you as soon as the answer is published. for submitting product review about Carbon Claw SC TX-7 PT Pro Weight Lifting Gloves.